No Headstone for Dizzy Gillespie? Photo; William P. Gottlieb, Public Domain. While Corona, Queens, resident Louis Armstrong has had his home (rightly) made into a national shrine and public monies and private donors lavishly fund the Louis Armstrong House Museum, Dizzy Gillespie, whose impact on the history of jazz is equally profound, is not honored even with a simple marker for his grave. 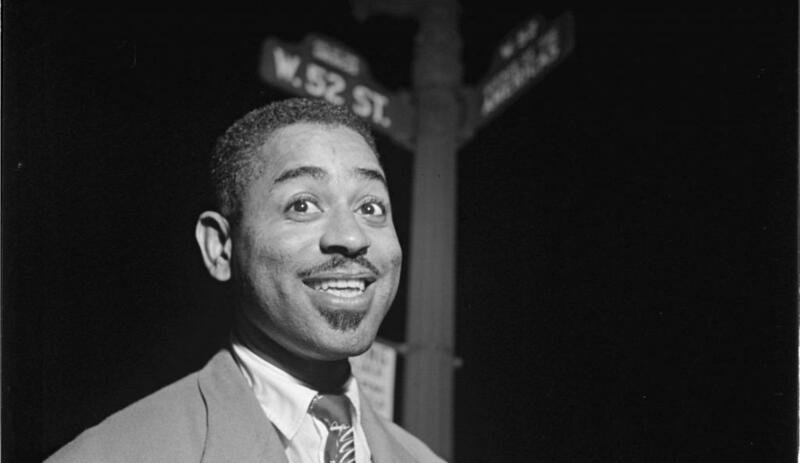 Dizzy Gillespie’s career spanned the mid-1930s until shortly before his death on January 6, 1993. The Syncopated Times has learned that Gillespie’s grave at Flushing Cemetery is not marked with a memorial of any sort. To our knowledge, Dizzy never expressed the wish that his grave be left unadorned, so we feel that this omission is an injustice to his memory and to those who wish to pay homage to him. Dizzy Gillespie is buried at Flushing Cemetery, 163-06 46th Ave, Flushing, NY 11358.